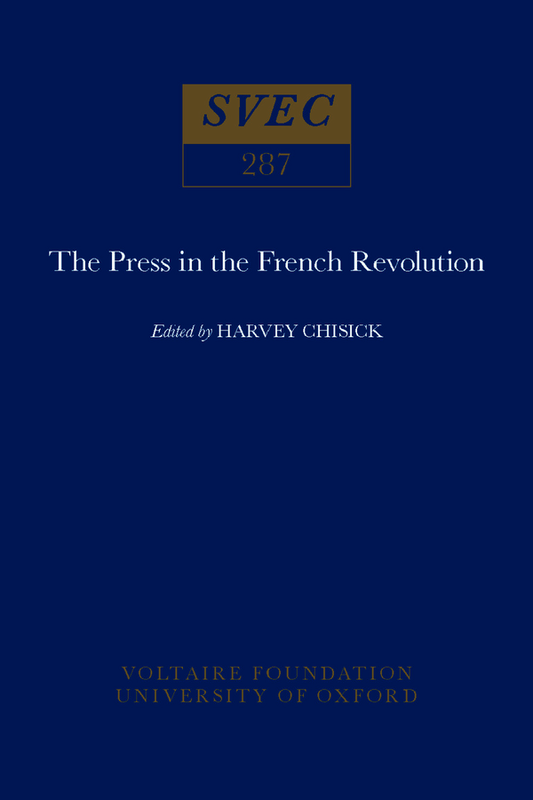 In this volume an international team of contributors address several key themes surrounding the role of the press in the French Revolution, including the beginnings of the Revolution and its impact on the press; how Old Regime journals reacted to the Revolution; the roles of journalists – both popular and elitist – in the politics of the Revolution; language and revolution; and images and their uses. Whilst not neglecting the production and economics of periodicals of the time, several contributors make use of the notion of discourse, and highlight various aspects of language and ideas in a revolutionary context. and revolutionary France: Antoine de Baecque, Raymond Birn, Jean-Paul Bertaud, Jack Censer, Elizabeth Eisenstein, Sarah Maza, Harvey Mitchell, Jeremy Popkin, Pierre Rétat, Denis Richet, Jean Sgard, Suzanne Tucoo-Chala, Michel Vovelle and Jacques Wagner.